iPhone 5: Are Bad Maps A Reason Not To Buy One? Apple released iOS 6 on September 19th. The iPhone 5 started shipping just a few days later on the 21st. Immediately the Maps app drew fire from customers and reviewers. Reported problems range from incorrect city names to poorly drawn maps on the technical side and lack of public transit and poor traffic reporting on the usage side. These are serious drawbacks in what is supposed to be a major built-in app. Especially when Google Maps no longer comes on the phone and the rumor mill says the latest Google Map app is in approval limbo. If you loaded iOS 6 onto an iPhone 4S or earlier, an iPad or iPod touch that is less of a problem. You can downgrade to iOS 5. If you purchased and iPhone 5 you cannot downgrade, you have to use iOS 6. The news is not all bad, though. The iPhone 5 has received excellent reviews. Apple posted positions for Maps developers and has expressed its intent to work hard to improve the Maps app and any other failings in iOS 6. Fortunately, there have not been any other major problems reported. The problems with Maps have overshadowed any minor problems that might be in iOS 6. Maps is not a total failure, either, if you are in a major U.S. city and do not need public transit info. The big question is, once you get past Maps and start to use the rest of the operating system; can you forgive the faulty Maps implementation? According to Cole Garner Hill at Books & Review, the answer is yes. He looks at just four of the ten features Apple lists on its iOS “what’s new” page and gives them a passing grade as worth the pain of Maps: Passbook, Siri, Photos, and Mail. Those are all good, but they are not the whole story, either. New social media integration makes iPhone, iPad and the iPod Touch even easier to use for updates. 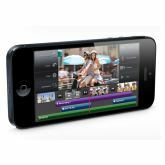 New features for photo streams and photo taking make the Apple’s mobile devices even nicer for impromptu or planned photo sessions. iOS 6 looks like an overall good update to Apples mobile OS, despite the Maps app. With proper handling and rapid corrections to Maps’ issues, the furor could quickly follow antennagate into Apple history. Bert Knabe is married with 5 children. He is a Christian and has over twenty years experience as a computer technician and seven years as a blogger. His interests include computers of every flavor, video games, tabletop games, anime and gadgets. Fortunately his family shares those interests and they enjoy playing games and watching videos together.